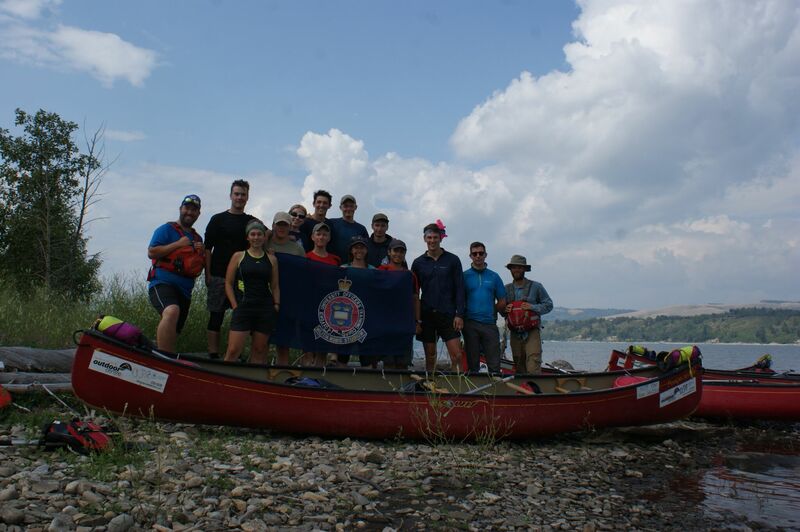 In August 2017 twelve Officer Cadets (OCdts), two instructors and a member of support staff from Oxford University Officer Training Corps (OUOTC) flew to Alberta, Canada for a twelve day open canoeing adventurous training package. 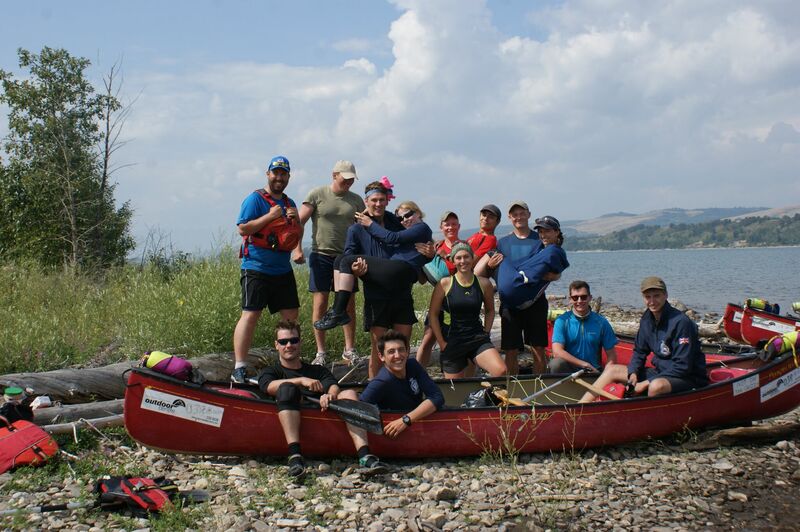 The main aim of the expedition was to challenge OCdts, most of which have never open canoed before, by tackling unfamiliar and challenging river systems for the duration in order to broaden their skill sets and develop team cohesion. A further aim was for all to achieve Open Canoe 2 Star Foundation (O2F). Our driver, the two instructors and two OCdts arrived a day early in Calgary to collect the vehicles and equipment. 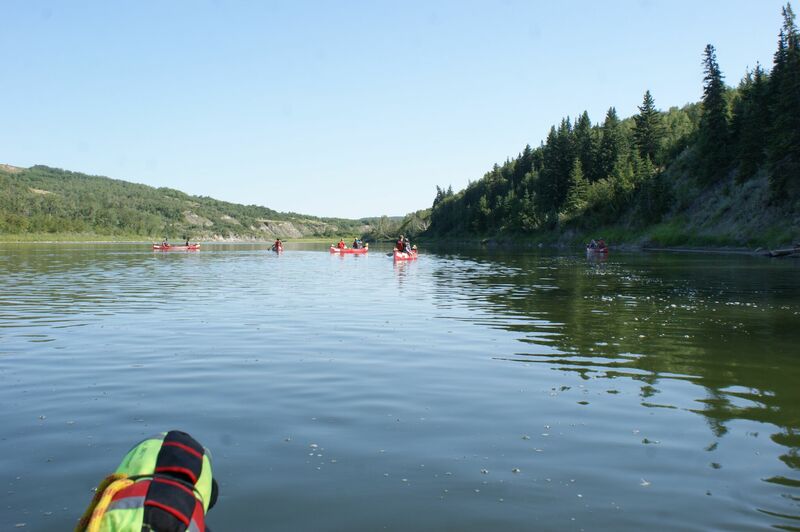 After collecting the Canoes from Calgary University and stocking up with spam and plastic cheese from Walmart we were set to hit the water. 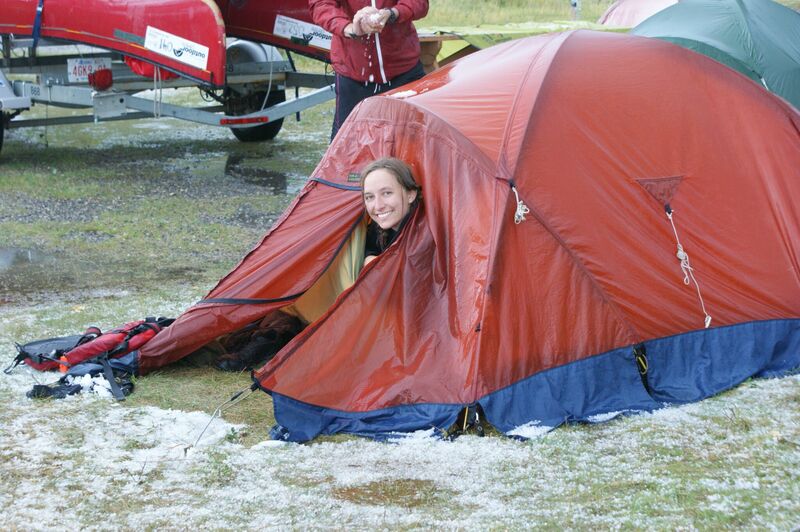 The following day we collected the main body from the airport and arrived at our first campsite. We pitched our tents, personalised the canoes with sniper tape and sharpies then hit the hay ready to get on the water for day one. 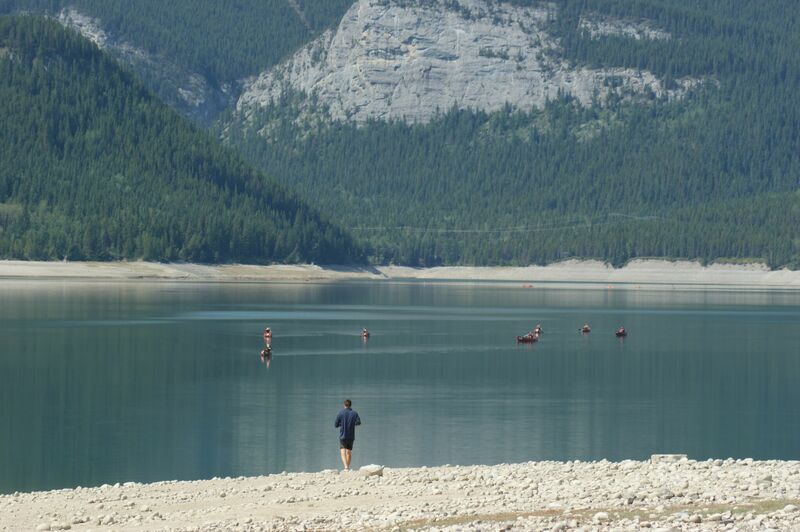 The training phase started on Barrier Lake where we spent two days getting to grips with basic skills. There are two people per canoe and with the help of our instructors Will and Gareth, from the Sea Cadets, we achieved the beginner techniques to paddling. 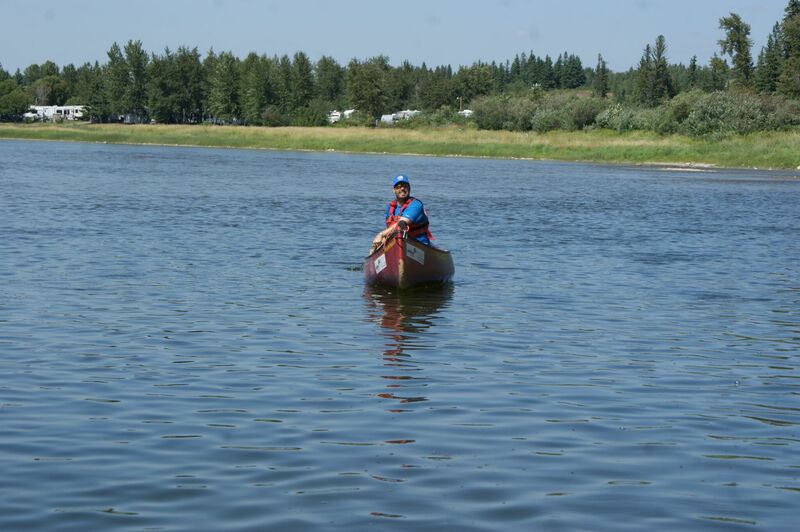 This included forward and backward paddling, side strokes, manoeuvring the boat, turning on the spot and draw strokes. Day one was focused on travelling in a straight line and basic turns. On day two we enjoyed sinking one another’s boats during capsize drills and practicing rescuing both flooded boats and swimmers on water and on dry land learning throw line techniques. The evening was spent learning theory over dinner in our rather minimalist campsite. 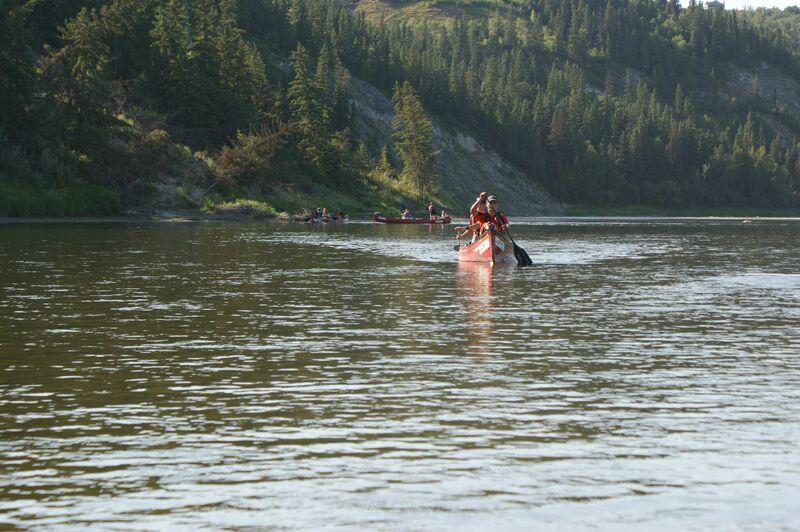 After successfully conquering the flat water, we moved onto the Bow River where we received open water training. This including pulling into eddies (calm spots with low flow rates on the edge of the river) and forward and reverse ferry gliding across the river. 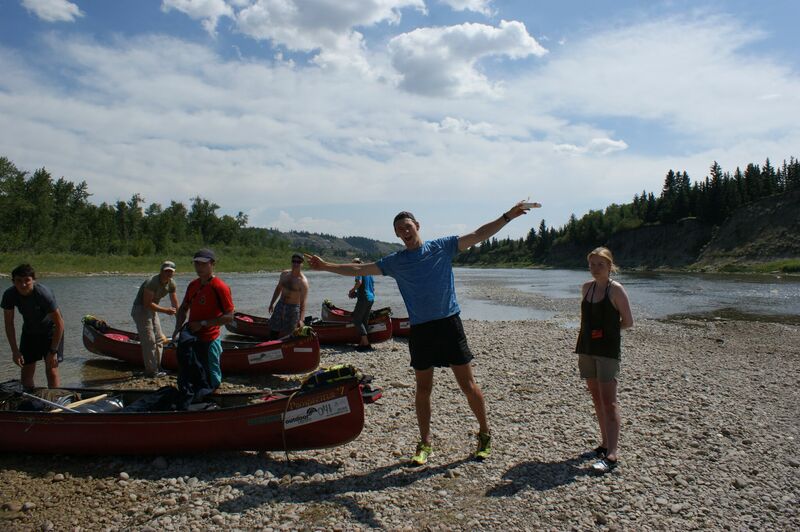 After the two days on Barrier Lake and a day on the Bow River were complete, we were all canoeing at O2F standard. All six crews were now looking confident, swim counts could still be counted on one hand, and it was time to move on to the expedition phase. 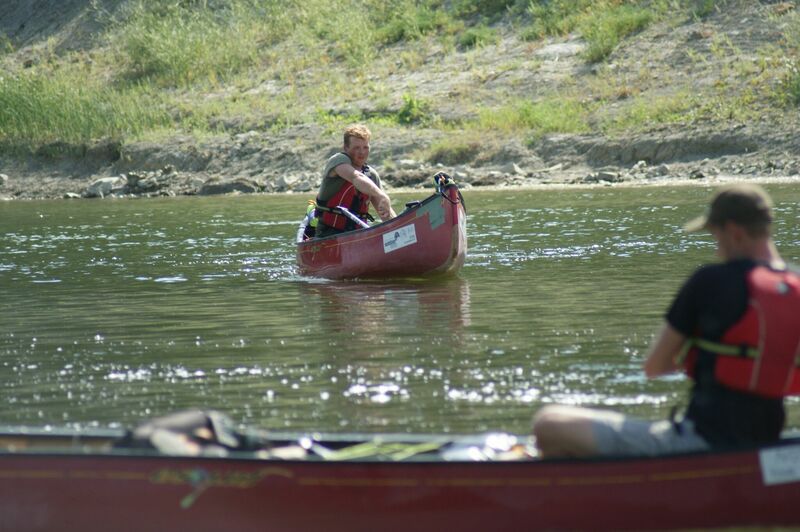 The original plan for the expedition was to paddle down the Kootenay river. 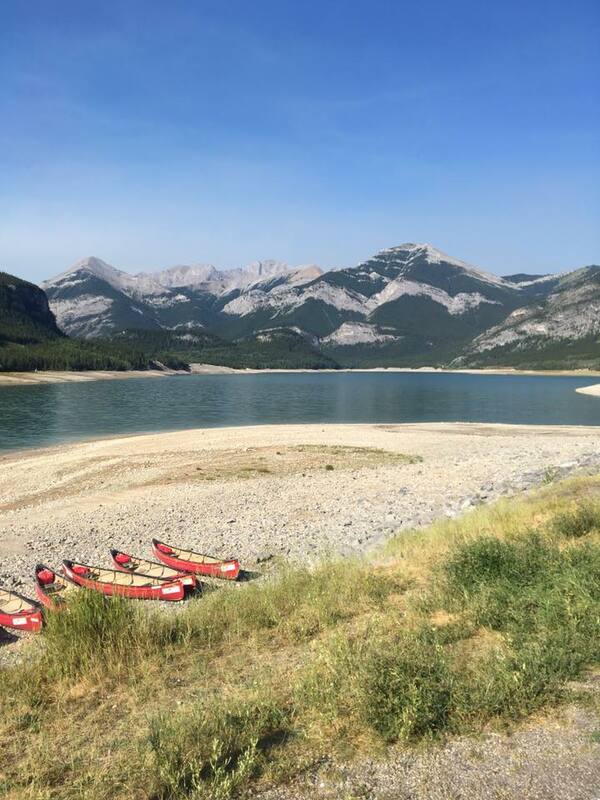 However, there were extensive forest fires in the Kootenay National Park that stretched down river, shrouding the entire area in a thick cloud of smoke making it impossible to boat there. 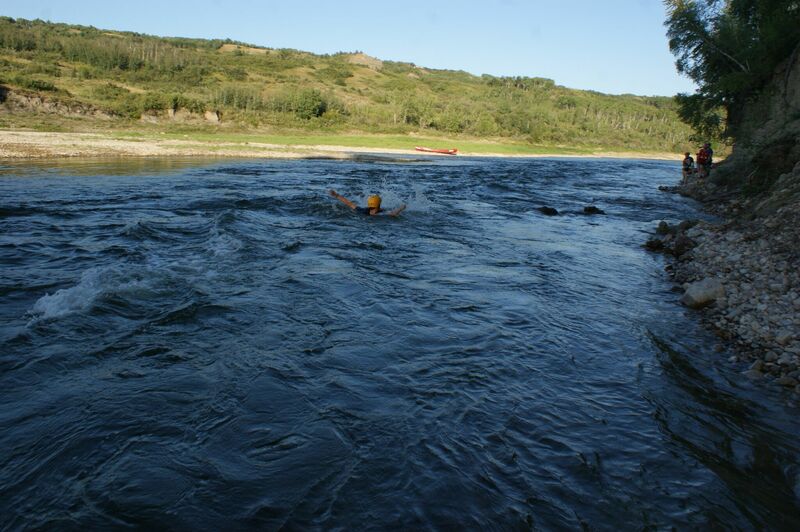 Instead we headed for the Red Deer River on the eastern side of the Rocky Mountains. On route we explored the town of Banff and the Lake Louise area and were treated to some breath taking scenery unlike anywhere else in the world. With all of our kit dry bagged and fastened into our boats we set off and were treated to yet more stunning scenery, plenty of Bald Eagles and the odd stag. 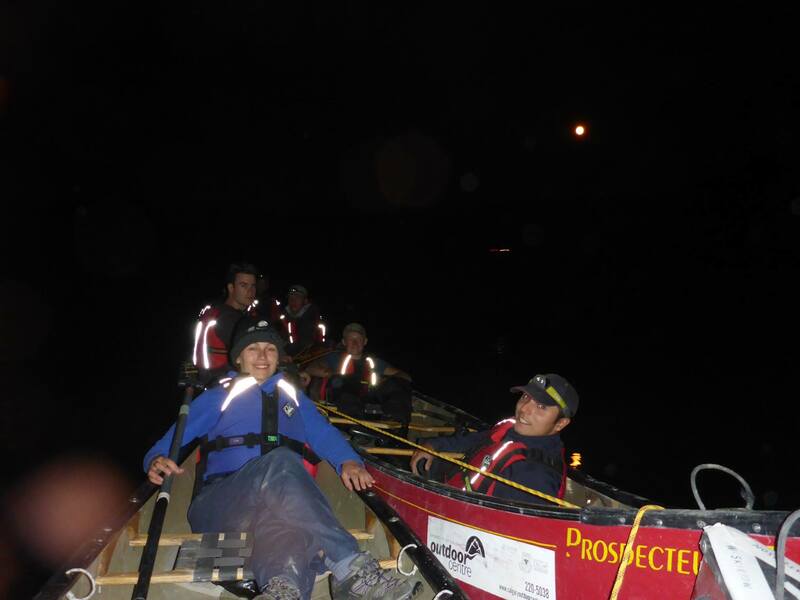 We averaged 8 hours on the water and covered 30km. In the afternoon the time came to test our white water swimming and throw line rescues. It was exhilarating learning the techniques to safely reach the shore whilst being washed down river and our throw line rescue skills improved greatly. 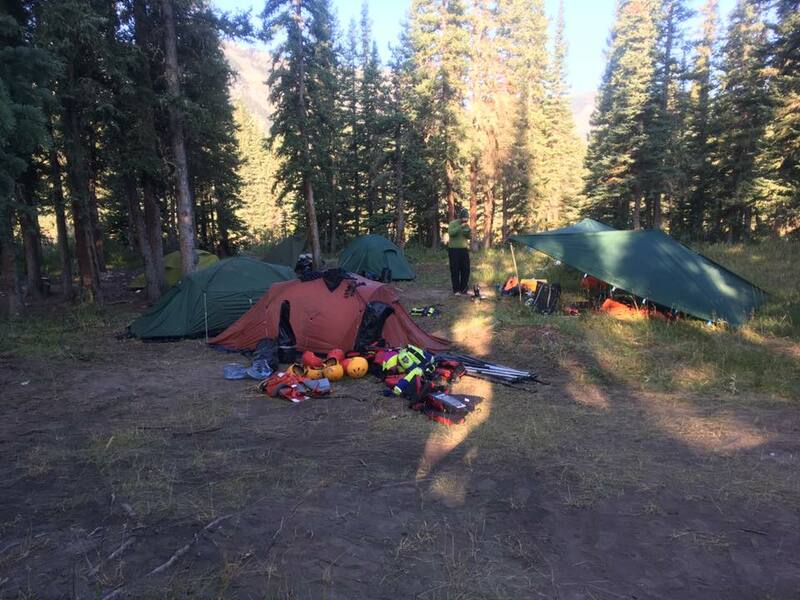 We camped on the river bank and secured all food and cosmetics in dry barrels up a tree 50m down wind of camp to mitigate the bear threat. A new experience for all! Kit was dried out on makeshift washing lines and food was cooked communally. 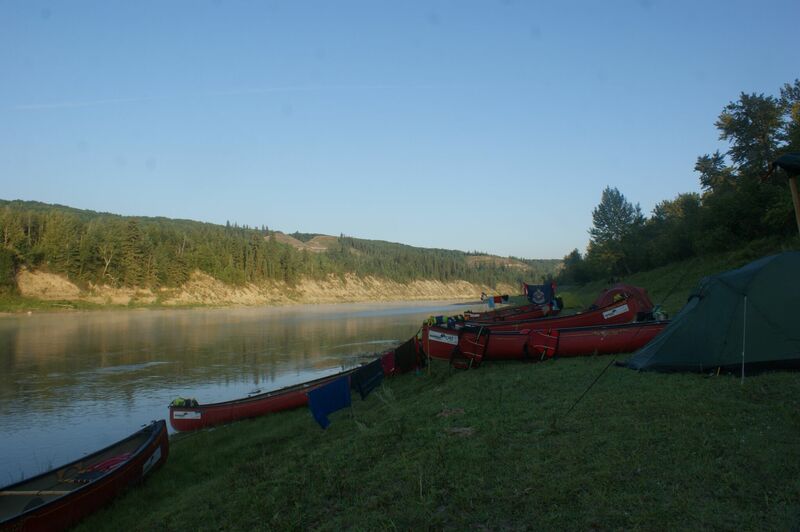 The following day we paddled another 30km on relatively forgiving water and given our rapid progress we decided to travel up river that evening and continue the expedition on the much more challenging Upper Red Deer with the possibility of achieving the much higher O3N qualification. With this in mind we drove back into the mountains and set up camp in a wilderness campsite ready for the more challenging water that lay ahead. We started the second phase of our expedition from the Ya Ha Tinda Ranch and launched into the most challenging waters we had yet seen. For much of the first morning we zig zagged from eddie to eddie, building our confidence and skills on the faster water. 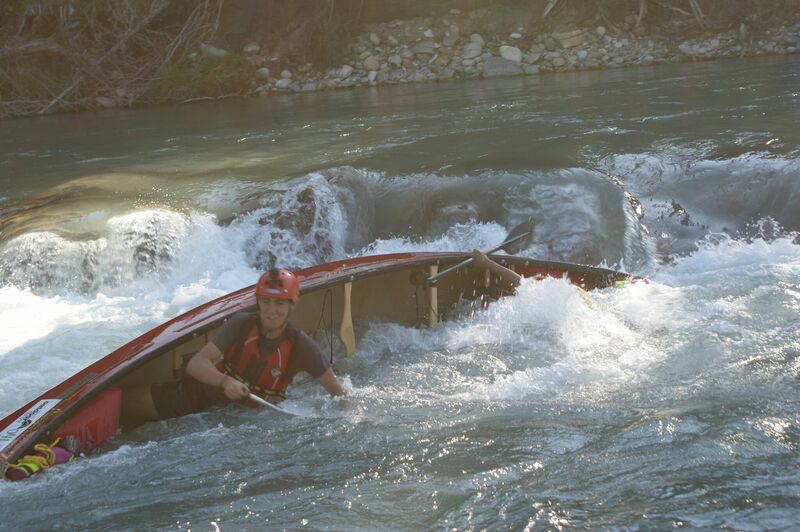 There were two dramatic features we had to portage but we enjoyed watching the instructors tackle them. 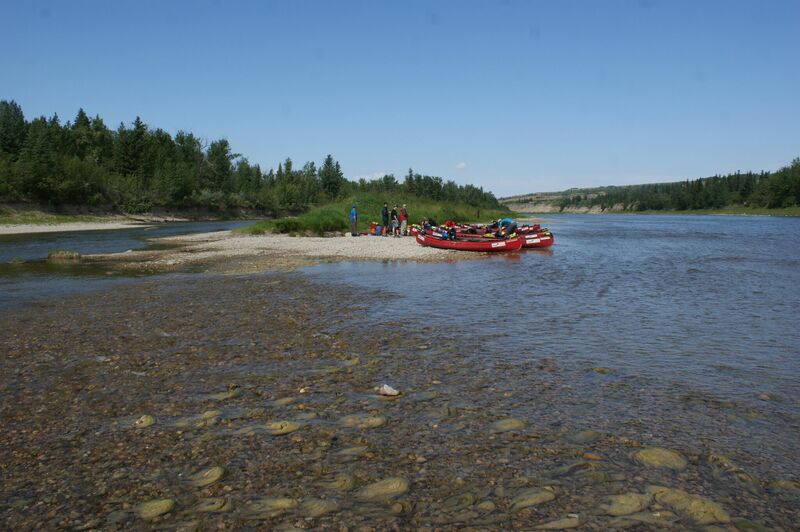 With the more complicated sections of grade two rapids we all came ashore and discussed the best way to navigate them before we canoed the features ourselves. With the swim count rising with our confidence we set up camp for the night. After a breakfast of questionable porridge we set off and the difference in confidence among the group between this morning and the previous day was enormous. 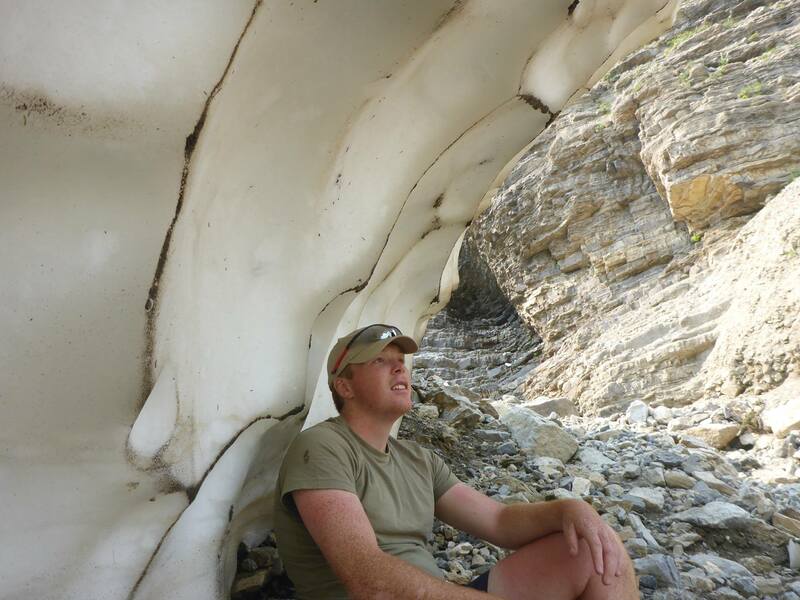 Again we covered around 30km and were fortunate enough to take in some breath taking views of the Eastern Rockies. 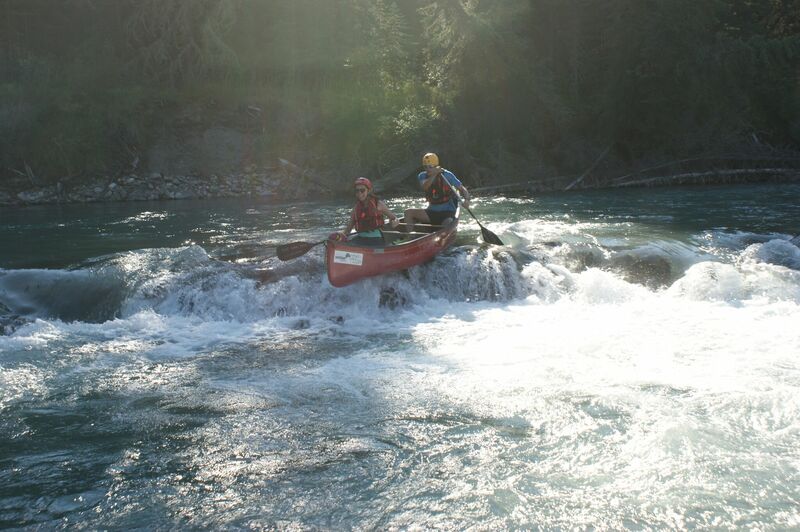 This section was far more challenging with more regular and increasingly unwelcome swims in the glacier water as we took on rapids with up to 3ft waves. Though however cold we got morale was always up, thanks mainly to snacks, the constant game of hiding rocks under one another’s seats and of course the great weather. 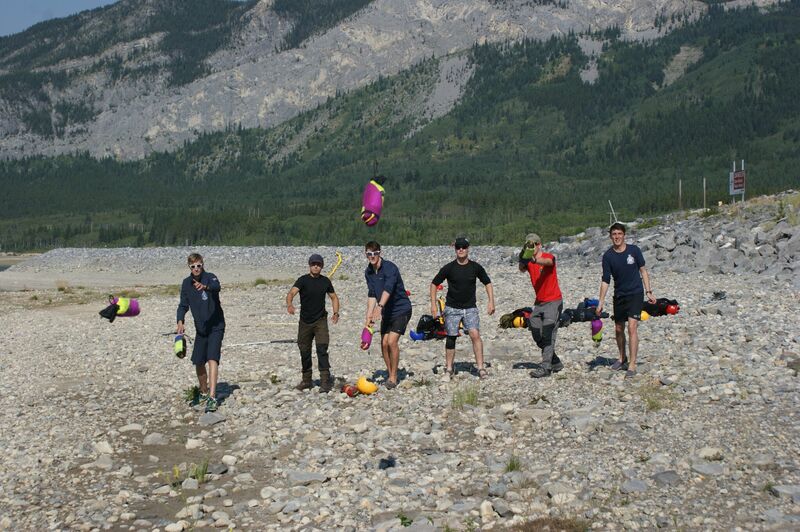 The following day the river was equally challenging however our skills were rapidly improving and we spent the afternoon mastering solo skills including breaking in and out of eddies on fast water, ferry gliding and surfing. The swims were becoming fewer and having far surpassed the skills needed for O2F, the higher qualification of O3N was on the cards. All that we needed was to prove our solo boating skills and show a proficiency of some of the more technical manoeuvres. Though much to our disappointment we had reached the end of the expedition phase. 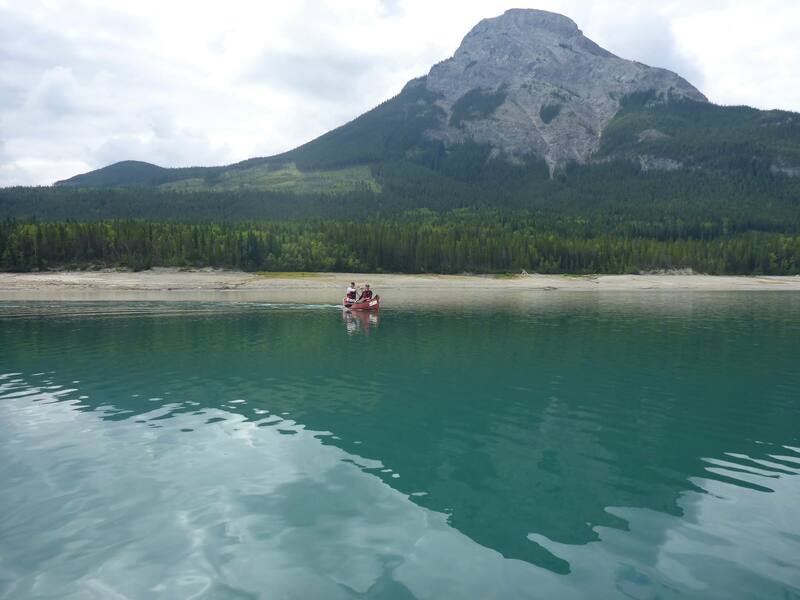 Our final day paddling was spent on Ghost Lake honing some last flat water skills, predominantly solo paddling. 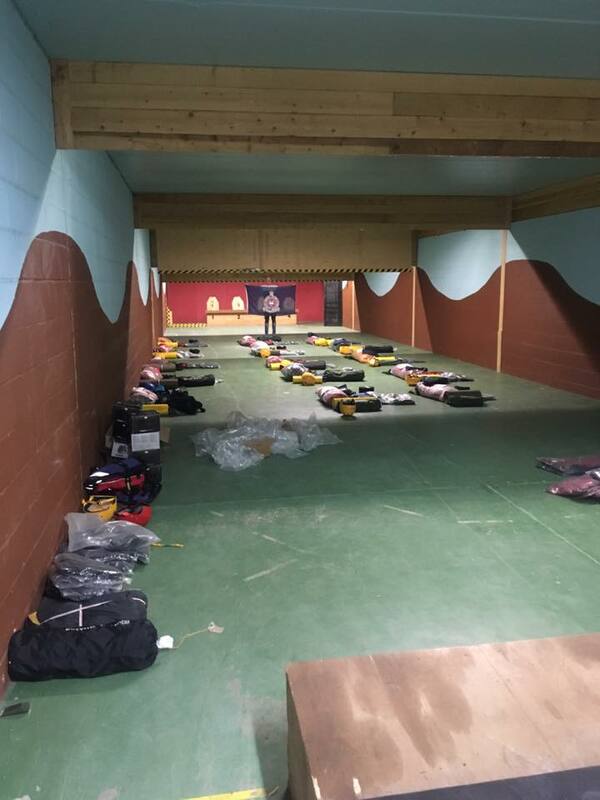 As a result all crews had greatly improved and mastered some impressive 3 star skills earning ten out of the twelve OCdts the O3N qualification. 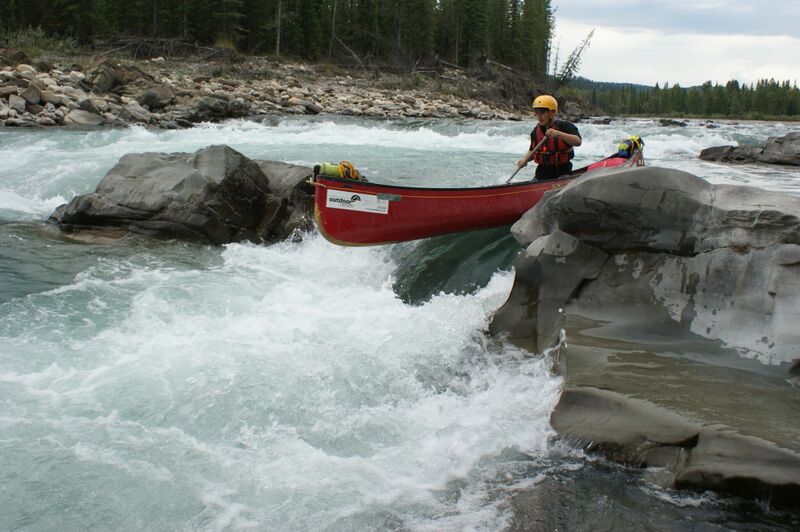 This far surpassed the aims of the expedition and led to some very happy paddlers. The weather for the entire trip was spectacular, with a few clouds but generally bright sunshine. However towards the end of our last afternoon canoeing the heavens opened, thunder cracked and low thick dark clouds covered the sky as a storm passed overhead. It was very dramatic, the canoes were pulled up onto the beach and there were people sheltering from the large hail stones under them. Other people were sheltering behind signs and the few huts on the beach and in a whirl of movement we got all eight canoes back on the trailer and all 15 sodden bodies into the vehicles making an eventful ending to the trip and putting in our finely hone team working skills to good use. Exercise Blue Poseidon put all OCdts into far more challenging environment than any were anticipating. 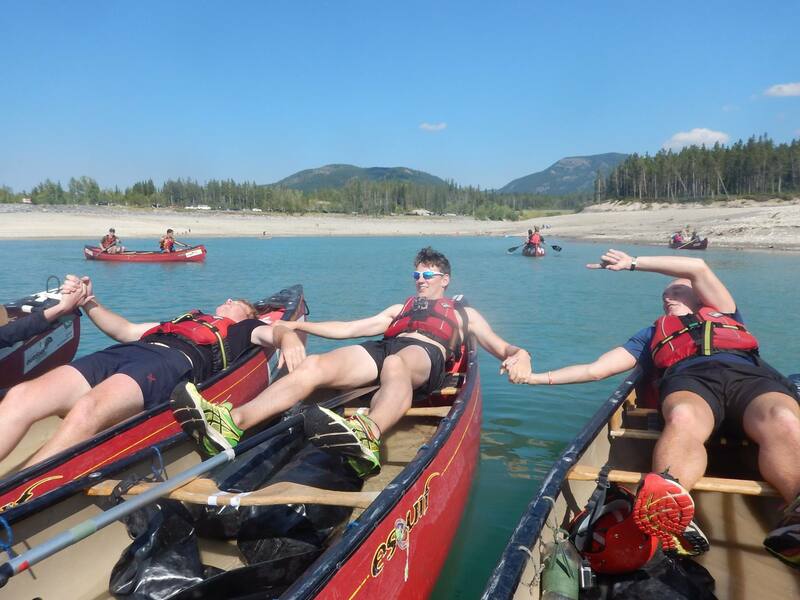 The result of these new conditions taught them an entirely new canoeing skill set and through the rigors of wild camping and the close proximity in the boats we developed strong team cohesion. We must thank our instructors, support staff and the Ulysses Trust for making this trip possible. It was a new and unique experience for all OCdts and will help their development as they progress on to both reserve and regular commissions.